Many of you probably know by now that I’m a huge fan of Laurie R. King’s Mary Russell mysteries. I try to get every Russell book as soon as it comes out, and I’ve loved every one of them. And right now, there’s a feast of Russell fun going on, what with the release of the 11th book, The Pirate King, this fall and the recent publication of this e-novella, Beekeeping for Beginners. This long story—or short novella—takes readers back to the beginning of Mary Russell and Sherlock Holmes’s relationship, but this time, we hear Holmes’s version of the events. A couple of first-person chapters get right into his head, and we learn that Russell entered his life at just the right time. We also find out what Mrs. Hudson and Dr. Watson thought of Holmes’s new apprentice, and we discover that a mystery occurred right under Russell’s nose (or really, behind her back). As it turns out, Holmes came into her life at just the right time, too. Laurie King took a huge risk when she first created a young female apprentice (and eventual love interest) for Sherlock Holmes back in 1994, but she won over many of Holmes’s fans and piqued other readers’ interest in the great detective. (I was never a Holmes fan myself, and I’m still more familiar with King’s Holmes than with Conan Doyle’s.) Taking on Holmes’s point of view and revamping her own characters’ back stories is even riskier. Mostly, King pulls it off. If I were to question anything, it would be the very first revelation about what was on Holmes’s mind when the novella opens. Because I know the character primarily through King—and some of his character as I know it can be attributed to Mary’s influence—I can’t speak to how out of character these opening moments are. Certainly, it seems that Holmes could be prone to despair when he doesn’t feel useful or active, and his retirement to Sussex could exacerbate those feelings. But fans might think she went a step too far here. I don’t have a strong opinion, but I was surprised. As for the revision of Russell’s own history that comes in this story, I thought it worked nicely. None of it, in fact, was much of a surprise, given what we know about the characters. 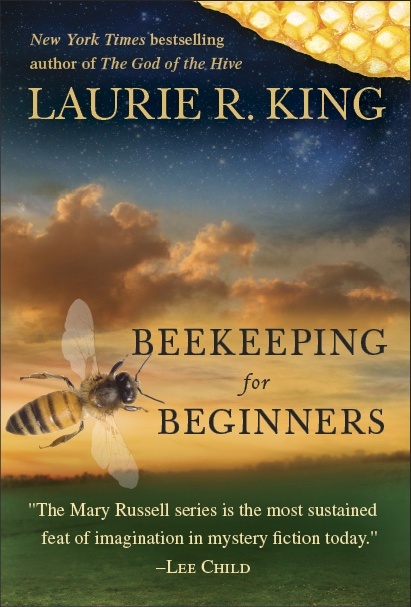 King has taken advantage of some of the gaps in her episodic first novel, The Beekeeper’s Apprentice, to insert a new plot in a way that doesn’t directly contradict anything Russell shared in her own version of events. If I had a copy of The Beekeeper’s Apprentice, I’d take a look and see just how seamless it is. The e-novella also includes a sort of silly Twitter interview with Mary Russell, and more important to fans, it includes the first couple of chapters of The Pirate King. So if you can’t wait to get a taste of that book, this e-book might be worth the 99 cents for that alone. I’m really looking forward to reading this series – I have the first three books now and will make in roads very soon! Wonderful! I will warn you that the first is not as good as the others, but the second is terrific. I’m looking forward to seeing what you think! This is a nice reminder that I really should return to this series. I’ve been reading other period mysteries lately (by Carola Dunn and Catriona McPherson) and I find myself thinking, “why am I not reading more Mary Russell books instead?” They’re so much better. Yes, why aren’t you? ;-) I’ve started making a habit of recommending them to people who express dissatisfaction with other period mysteries because they are better. I’m also a big fan of her Kate Martinelli series, and the semi-stand alone Folly, which I think is her best book (a tough call to make). I recently read her Califia’s Daughters, published under the name Leigh Richards, and I’d love to see that story continued as well. I gave up on the Martinelli books halfway through the first one because I was annoyed at her coyness about Lee. Now that I’ve read all her others (except Califia’s Daughters) and liked them all, I must go back and give Martinelli another try. I understand that Holmesians’ views vary, but many of them have embraced the books. I feel the same as you about Austen’s characters, though. 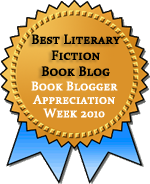 I tried a few chapters of several sequels years ago, and was thoroughly put off. Laurie R. King will be a speaker this season at the lecture series my book club attends. I’ve never read her. Should I start with The Beekeeper’s Apprentice? I’ve never heard of these books but they do sound good. Thanks. I didn’t know that there was a new book in the series out! Then again, I’m still only on book four for my first read-through, so I’m not exactly at a loss when it comes to new Mary Russell books to read! It is good to know that the series continues to be solid enjoyment, even so many books in; it’s so easy for these things to lose their steam! This post was a reminder to me that I need to revisit Russell and Holmes very soon… it’s been too long since I last went adventuring with them! Yep! The next novel is coming in September, and I think there’ll be another next year. With every book, I’ve expected a drop in quality, but they’ve been remarkably consistent. I loved it! In fact I had to go back and read The Beekeeper’s Apprentice because I loved it so much. It think it flowed very well with the original story and I loved Sherlock forcing her cousin to enlist! Beekeeper’s Apprentice is one of the only ones I don’t own; otherwise, I would have gone back and at least skimmed, especially to see the bits about her aunt. I’m glad to hear that the two flowed well together–I suspected as much! I only skimmed the first chapter of Pirate King because I knew I’d get sucked in and have to read the whole thing (which I did receive just a few days ago). It looks like great fun, but I’m trying to wait until closer to the release date. I’ve read the first 3 or 4 books in the series but it’s been a few years. I think the next one on my list is The Moor. I really enjoyed them and thought they were done really well considering she encroaching upon an industry with a million zealous fans! I’m amazed at how many of the Holmes fans seem to embrace her. It’s quite an achievement. The Moor is not among my favorites. It’s the only one where I thought my lack of Holmes knowledge was a hindrance. (I’d read Hound of the Baskervilles years ago but forgotten almost everything about it, and The Moor is a sequel of sorts.) But after that is O Jerusalem, which is one of my very favorites, possibly in the top three (with Letter of Mary and God of the Hive). I really need to get back to the series. I read the first one last year, I believe, and haven’t moved on. There is just too many series nowadays and not enough time to get to everything! I know exactly what you mean about too many series to follow. I’m trying to avoid starting new ones. This one, the Jackson Brodie books, and the Morland Dynasty are the only ones I’m following as they come out these days. Any others are low priorities.